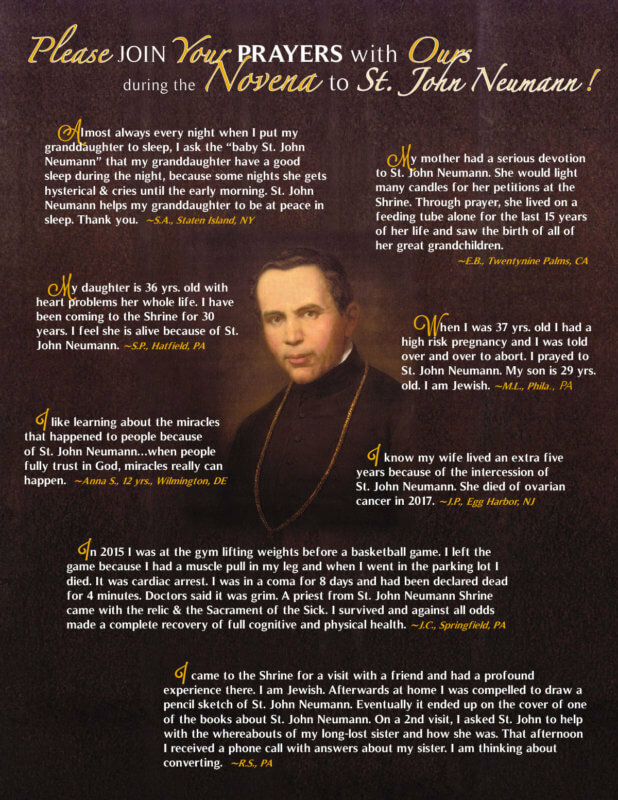 Please Join Your Prayers with Ours during the NOVENA to St. John Neumann! 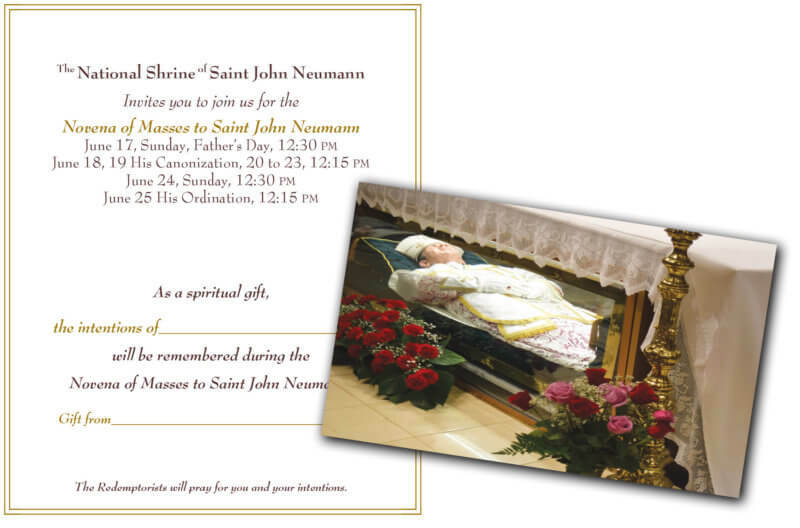 June 17 Sunday, Father’s Day at 12:30 P.M.
June 18, 19 (St. John Neumann’s Canonization) at 12:15 P.M.
June 20, 21, 22, 23 at 12:15 P.M.
June 24 Sunday at 12:30 P.M.
June 25 (St. John Neumann’s Ordination) at 12:15 P.M.
We invite you to download the Novena Card and lift your intentions with these and others to St. John Neumann. Download a high resolution copy to include your gift and intentions.